Mark Lockhart Calgary REALTOR®: RE/MAX Real Estate (Central) 206, 2411 - 4TH STREET N.W. A dedicated husband and Dance Dad to his young daughter, Mark is a friendly and trusted voice you can depend on as you consider the biggest purchase of your life. Aside from being fluent in both English and Swedish (4 years playing hockey overseas put to good use), Mark is fluent in another language, Real Estate. Nearly a decade ago, Mark turned in the keys to his landscaping business and hasn't looked back. The stay-at-home defenseman on the ice knows that it is not just hockey that's a team sport - in real estate it's all about teamwork. 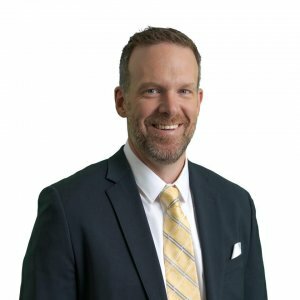 Both within the YYC Group of agents, and within the growing team of trusted vendors, businesses and professionals in his network, Mark has surrounded himself with role players that are vetted, reliable, trusted and focused on making your buying or selling experience as stress-free as possible. Plainly stated, when you add Mark to YOUR team, you're tapping into an agent with a comprehensive network who will follow through with his commitments and work hard to earn not just your continued businesses, but your glowing recommendation.